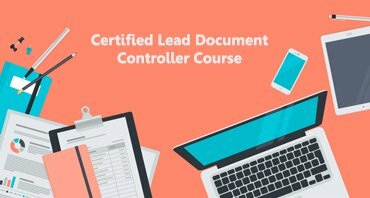 +–What is the objective of certified lead document controller course ? Certified lead document controller course (Construction, Oil & Gas, Infrastructure, Resources, Energy, Pharma & Manufacturing) program is offering to freshers and experienced people who’s start their career as a document controller (or) document control manager in information technology and private social sectors including oil & gas, petrochemical, refinery, power plant, fabrication industries, chemical industries and IT industries etc. Certified lead document controller training course prepares document controllers to lead teams, to manage interfaces, to run, to audit, to implement or to improve document control management systems, both in terms of procedures and electronic document management systems. +–What is the duration of this course ? ▸▾What infrastructure do I need to attend online session ? The courses are internet-based and can be accessed directly from your desk. Some courses are enriched with audio so you will also need an enable sound-card and a headset or speakers, in order to fully benefit from the course. For full technical skills requirements. Please allow an average of 3 to 5 hours of online learning in total or weekend full-time. This can be broken down into shorter segments, at your own convenience. Your log-in will be valid for approximately 110 days, during which time you may access the online course as many times as you wish. Delegate can work through each of our online module at their own pace and at times convenient for them, in order to enhance their technical skills, there is no test or exam at the end of course, but the interactive exercises and self analysis tests allow you to monitor your own progress as you work through the content. ▸▾How engineering students benefit from lead document controller course? Students who wish to pursue higher educational having strong oil and gas industry can also benefit from certified lead document controller course potential to get part time jobs in these industries while they study abroad and helps to achieve financial assistance and finally get into jobs on a full time profile with in oil and gas industries. Students can do certified lead document controller course and virtual project parallel to their university studies virtual project can be tailor-made to university project on request upon completion they can have a cv attractive to oil and gas industries. ▸▾Pay-scale of Lead Document Controller ?